BSkyB is no more as Sky completes European takeovers | What Hi-Fi? It's a name that has been with us for nearly 25 years, but the BSkyB moniker is no more after it was confirmed that Sky had completed the takeover of its Italian and German counterparts. The company has acquired Sky Italia and a majority stake in Sky Deutschland, making it one of the largest entertainment providers in Europe serving 20 million customers in five countries. In order to reflect its continental interests, the company has confirmed that it will now officially go by the name Sky, not BSkyB – although it will remain listed on the London Stock Exchange. 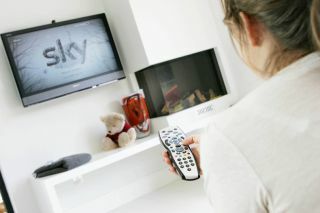 With more than 60 million households in the UK, Ireland, Italy, Austria and Germany still yet to have a pay-TV subscription, the newly-enlarged Sky operation is eyeing up significant growth. And the hope is that bringing the three businesses together will mean that expertise shared across the group to the benefit of customers, while also pushing forward research and development. Jeremy Darroch remains chief executive of the expanded Sky, while Andrew Zappia will remain at the helm of Italian operations and Brian Sullivan stays on as Sky Deutschland chief executive. Darroch said: "Customers will benefit as we launch exciting new services, bring them even more great TV and accelerate innovation across all of the markets in which we operate."